Eleven2 hosting has been providing affordable and reliable web hosting, reseller hosting and cloud servers since 2003. The company continues to grow while managing to keep close to their roots as one that cares for their clientele. In a business that can become impersonal and mechanical, Eleven2 dares to be different by treating their customers as people. 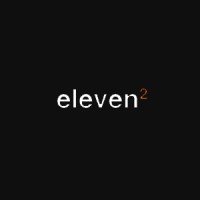 Eleven2 owns and operates multiple servers across the globe: Dallas, Texas; London, England; and, Singapore in Asia. Other locations are opening soon to better serve clients wherever they may be located. It is one of the web hosting companies that offer great value for money with feature-rich hosting packages. Those looking for a web hosting company they can trust should consider Eleven2 to fulfill their needs. Eleven2 is acknowledged as one of the most reliable web hosting companies in the industry. It has been operational since 2003 and now has servers that cover several locations. These are Dallas in Texas, London and Singapore. The principal office is situated in Houston (Texas). Clients can look forward to 24/7 technical phone support (five days a week) so any hosting issue can be resolved promptly. The company has made sure that staff members are trained well to handle all queries on technical and marketing concerns. Eleven2 will definitely be around for a long time because its creators have a long-term vision of growth and success. This web hosting company makes sure that clients are given not only the best products but excellent customer service as well. It boasts of unrestrained domains and a 99.9% uptime guarantee. Website migration is absolutely free. Eleven2 resellers can opt for a hosting plan that includes billing software free of charge. One is WHMCS, which is an automation system for online enterprises that combines client management, support and billing solutions. The other is ClientExec.com which has an efficient email management technique and billing module. Customers who are not satisfied with Eleven2’s hosting services are assured of a 60-day money back guarantee. With Domain Names, you get a sophisticated computerized ordering system which enables you to register or move a domain and make it online in an instant. It is possible to handle your domain name without any difficulty. The automatic control panel allows users to make sure that name servers and Domain Name System settings are updated. You can also edit the Who is Information with this product. This can be acquired for a very low fee of $15 annually which is only $1.25 every month. The Cloud Servers of Eleven2 will make sure that clients can upgrade or downgrade at their preference. The web host manager and Unix-based web hosting control panel are complimentary with all cloud servers that are completely-managed. The 52 metrics on your servers are monitored round-the-clock to guarantee consistency. You can obtain a cPanel license if you own a self-administered cloud server for a minimal monthly fee of $11. Reseller hosting means that all resellers are provided with a free Enom account so you can resell Security Socket Layer (SSL) certificates and Domain Names to your customers. You are also given a dedicated and free IP address. Eleven2 servers use 30 percent less power for the same functions on other servers through Green Hosting. It utilizes paperless invoice system and saves on paper and thereby contributes to environmental protection. Cloud Flare is another remarkable implement that brings you immense benefits. You can cache the global content of your website, make use of routing technology and pinpoint any form of threat to your website. The iPhone App of Eleven2 gives you the opportunity to manage hosting from a mobile device so you can add email users or edit databases wherever you are. The applications are compatible with 2G, 3G or 4G phones as well as the iPad and iPod Touch.